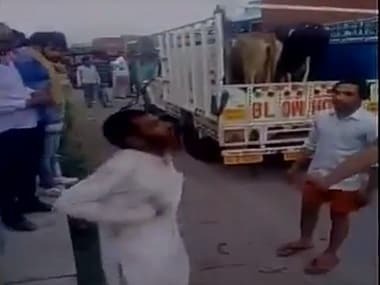 An independent fact-finding investigation into the lynching of Pehlu Khan, a dairy farmer, earlier this year by cow vigilantes has exposed how police tried to "weaken" the investigation by delaying the filing of the FIR and invoking IPC sections of crimes with a lesser punishment. The investigation termed the police action as "monumental inefficiency" or a "deliberate attempt to weaken the cases against the accused gaurakshaks". In April, Khan, a dairy farmer from Jaisinghpur village in Haryana, was lynched by cow vigilantes in Behror of Alwar district in Rajasthan. 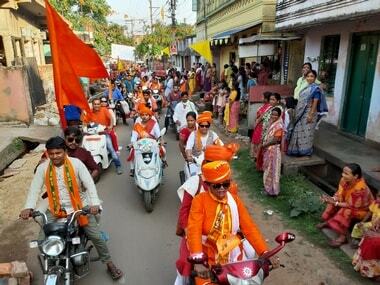 He was returning home after purchasing two cows and two calves from a Jaipur cattle fair. 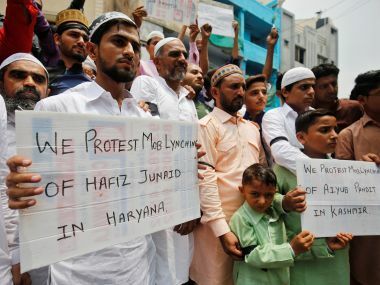 The murder caught national attention and Khan became the face of protests against the spate of lynchings across the country in the name of gauraksha or cow protection. The independent investigation also revealed that the accused named in Khan's "dying declaration" were not arrested and police failed to defend the arrests they made in court, as five of the seven got out on bail. In July, Prime Minister Narendra Modi asked state governments to act against gaurakshaks indulging in violence. Irshad Khan, the son of the deceased dairy farmer said the family doesn’t hope any justice from Rajasthan government as they don’t have faith on the investigation conducted by the state CID (CB-CID). “The CB-CID that conducted investigation in my father’s lynching case, reports to Rajasthan Home Minister Gulab Chand Kataria, and the latter said in public that no murder took place. So how can we trust the agency or Rajasthan police?” he questioned. “Justice in our case will only be delivered, if it’s heard in the Supreme Court,” added Khan. 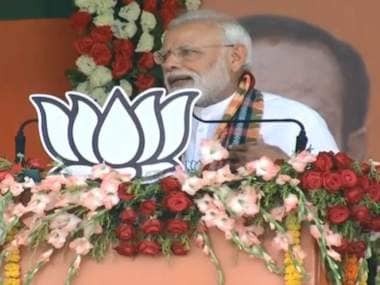 The investigation report states that it has found that "police across the states are openly flouting the prime minister's instructions, especially in the states that are ruled by Bharatiya Janata Party (BJP), be it Haryana, Gujarat, Jharkhand or Rajasthan." The report said that FIR was filed nine-and-half-hours after the incident, though the scene of the crime is only two kilometre from the police station. "The FIR claims that the police were informed of the attack at 3.54 am." on 2 April, but "according to the FIR the attack took place during 7 pm-10 pm on 1 April", and does not explain the delay, the report states. Another major finding of the report was the invoking of IPC sections of crimes with lesser punishments among others. "The FIR does not invoke Section 307 of the IPC for the offence of "attempt to murder" which provides for imprisonment of 10 years to life. Instead, the FIR invokes Section 308, which only takes cognisance of "attempt to culpable homicide not amounting to murder", prescribing imprisonment of three to seven years," the report said. Also, several sections of IPC which amount to a criminal conspiracy, rioting with a weapon, promoting religious enmity, which would have made the case stronger were ignored by police, according to the report. 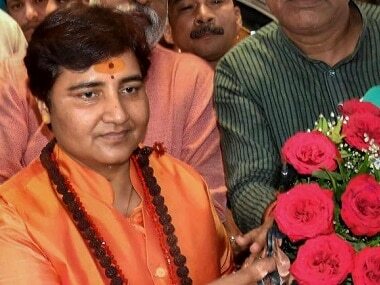 "The pattern of behaviour exhibited by the police reflects either monumental inefficiency or a deliberate attempt to weaken the cases against the accused gaurakshaks, nearly all of whom are said to be connected with the BJP and its affiliates such as the Vishwa Hindu Parishad (VHP) and the Bajrang Dal," the report read. "Many of the accused have secured bail even though they have been charged with murder, that, too, committed in broad daylight. Their bail is even more surprising as the attackers took pictures and recorded videos of their acts which should anyway nail them without doubt," it said. The report states that it is hard to believe that the police could not trace the six accused named by Pehlu Khan in his "dying declaration" for five months after the incident. "Khan named six of his attackers in a statement given to the police. But none was arrested. Police concluded that none of those named was involved in the attack. Those arrested were not named either in Khan's statement or in the FIR. They got bail despite being charged with murder," the report said. "Their bail is even more surprising as the attackers took pictures and recorded videos of their acts which should anyway nail them without doubt," the reports read. The police failed to "defend the arrests" as five of the seven arrested secured bail, the report said. As a way forward, the investigation suggests that the six men Khan named in his dying declaration should be arrested, a new FIR should be registered, and an investigation ordered into VHP and Bajrang Dal for involvement in Khan's murder, among other measures. The fact finding team announced that a committee would be formed to look into all the lynching cases in the country. “We’ll file a protest petition in the court on behalf of aggrieved families, who have failed to get justice. A protest petition is a right that the victim’s family gets, if the latter is not satisfied with the result of investigation undertaken by any state agency. In such a case court can order reopening or re-investigation,” activist Teesta Seetalvad said.